Follow the below link to be taken to the main Bodyform page at Tesco to see all the varities on offer for 95p. 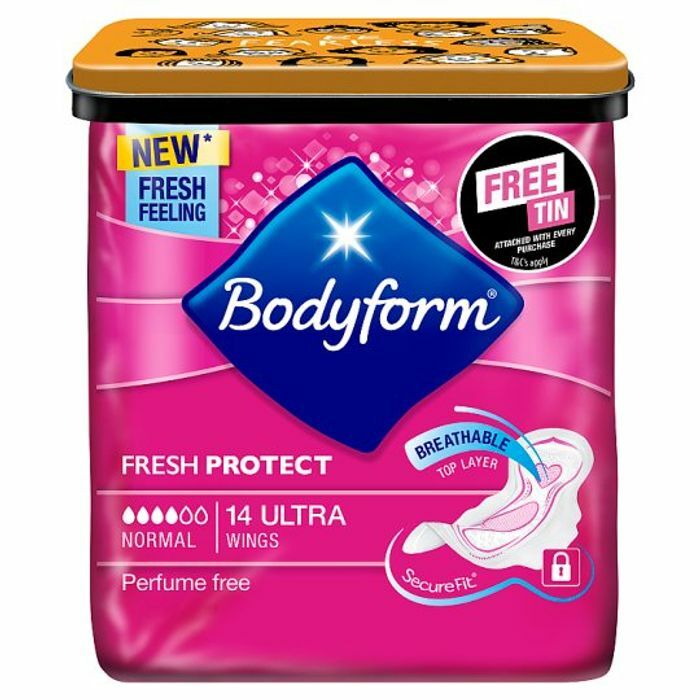 Also, if you had a sample pack from Bodyform, you will have a 50p off voucher. Making the total for these sanitary towels only 45p!!! It won’t arrive in time for this offer, but you can still get the samples anyway. Hi, how do you mean? Yes definitely. I know a 42p saving isn’t huuuge, but when something’s under £1, it seems like a huge saving! I mainly shared this because of the free sanitary towel tin that comes with it. Wow, I love the fact they’ve put in the free tin, when the item is already so cheap. This is something I expected Always to do. Thanks Bodyform!! Very generous indeed. I bought 3 packs!